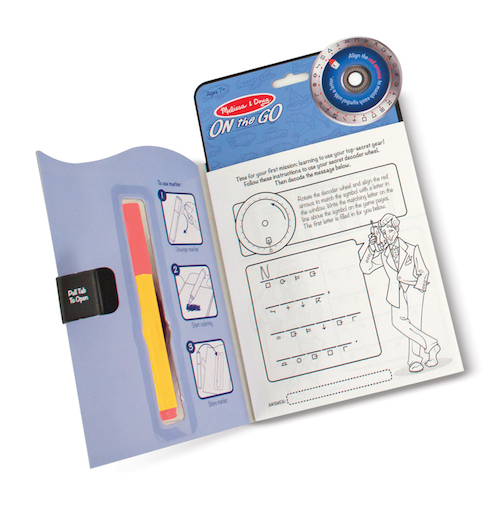 Add some mystery to travel days and amp up the thrill in your activity-book library with this cool spy set! 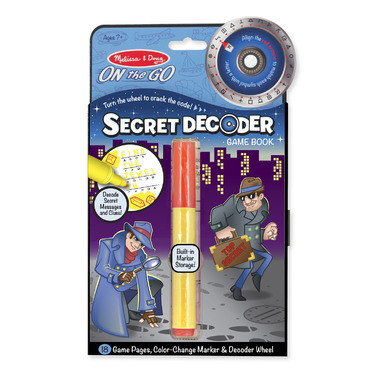 The deluxe kit includes three activity books, each with a different spy technology: Use the decoder ring to find secret messages, reveal hidden clues with the spy glass, and solve all sorts of mysteries with the help of a trusty secret-message pen. Packaged in a take-along pack, the collection lets kids take the fun along on their next mission, and makes an ideal gift! Fun and novel activity book for our 8 year old. 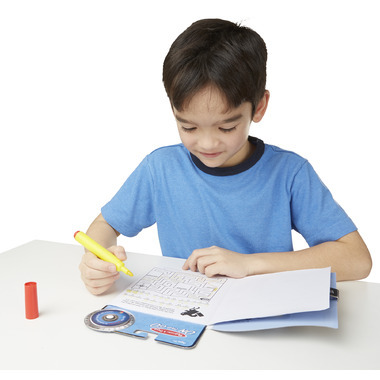 Great little activity for our grade 1 who is learning to read & practice writing his letters!